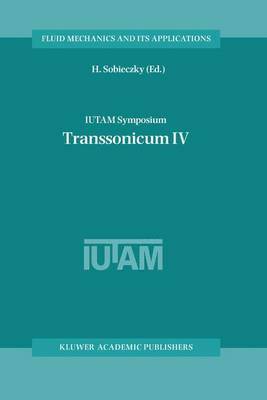 "Symposium Transsonicum" was founded by Klaus Oswatitsch four decades ago when there was clearly a need for a systematic treatment of flow problems in the higher speed regime in aeronautics. The first conference in 1962 brought together scientists concerned with fundamental problems involving the sonic flow speed regime. Results of the conference provided an understanding of some basic tran- sonic phenomena by proposing mathematical methods that allowed for the de- velopment of practical calculations. The "Transonic Controversy" (about shock- free flows) was still an open issue after this meeting. In 1975 the second symposium was held, by then there was much understanding in how to avoid shocks in a steady plane flow to be designed, but still very little was known in unsteady phenomena due to a lack of elucidating experiments. A third meeting in 1988 reflected the availability oflarger computers which allowed the numerical analysis of flows with shocks to a reasonable accuracy. Because we are trying to keep Oswatitsch's heritage in science alive especially in Gottingen, we were asked by the aerospace research community to organize another symposium. Much had been achieved already in the knowledge, techno- logy and applications in transonics, so IUT AM had to be convinced that a fourth meeting would not just be a reunion of old friends reminiscing some scientific past. The scientific committee greatly supported my efforts to invite scientists ac- tively working in transonic problems which still pose substantial difficulties to ae- rospace and turbomachinery industry.